The actual nation of Germany as unified state did not exist until 1871. Once unified – in large part due to the policies and shrewd application of realpolitik by Chancellor Otto von Bismarck – Germany occupied a tenuous place among the European powers. Caught between France and Imperial Russia, Germany was ever conscious of its military vulnerability. So the new state of Germany began a military buildup designed to guarantee its security against all threats. This involved modernizing and expanding the Old Prussian core of its armed forces, but also in acquiring one of the other trappings of a modern nation: overseas colonies and a navy to protect them. 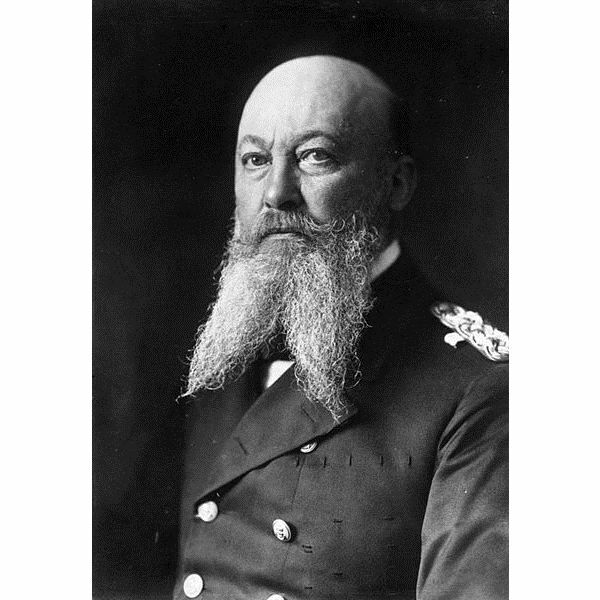 Admiral von Tirpitz (though he was only granted the 'von' title indicative of nobility and promoted to the rank of admiral in the 20th century) was deeply involved in the design and construction of a modern German navy. He pushed the German government to fund a naval fleet capable of beating the British Royal Navy in open battle. So Germany embarked on the construction of dreadnoughts (battleships), battlecruisers, and cruisers galore. Though to blame future events solely on this buildup is unfair, historians generally agree that this concentration of naval power was seen as intolerable by Britain, and contributed greatly to Britain allying against Germany in the First World War. Though his efforts ended in tragedy, Admiral von Tirpitz' legacy will ever be tied to his work in making Germany a first-class naval power. In the 1930's, Germany once again embarked on a shipbuilding spree with the intent to challenge British naval supremacy. The Z-Plan, a dedicated effort to construct a balanced, powerful surface fleet, involved the design and construction of two battleships of an interim design that became known as the Bismarck Class. 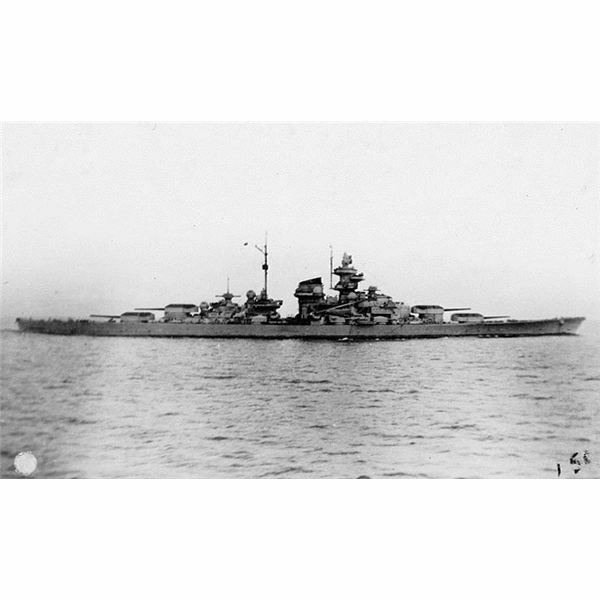 Arguably the most powerful ships afloat when launched, the Bismarck sisters – Bismarck and Tirpitz – were the last battleships ever constructed by Germany due to the outbreak of World War II. It was determined that the battleship Tirpitz was to bear the name of the founder of the (at the time) modern German navy and she was Commissioned in 1941 with much fanfare. Admiral Lutjens, commander of the eventual breakout of the Bismark and Prinz Eugen into the North Atlantic had intended that Tirpitz would sortie along with the Bismarck – the combined power of each battleships' eight 15" naval guns would have been sufficient to outmatch any opposing individual battleship afloat at the time, and allow entire convoys to be overtaken and annihilated. However, the crew of the Tirpitz was not fully trained and so she was kept in the Baltic while the Bismarck embarked on her ill-fated voyage. The loss of the Bismarck, along with the scuttling of the pocket battleship Graf Spee in 1939 and the heavy losses suffered by the German Navy in the invasion of Norway, led to a ban on major surface ships deploying into the Atlantic where they might be sunk. Instead they were all recalled to home waters, and the Tirpitz was deployed not to the Atlantic shipping lanes but to Norway. There she spent her war largely idle, but nevertheless serving a vital function for the Germans. 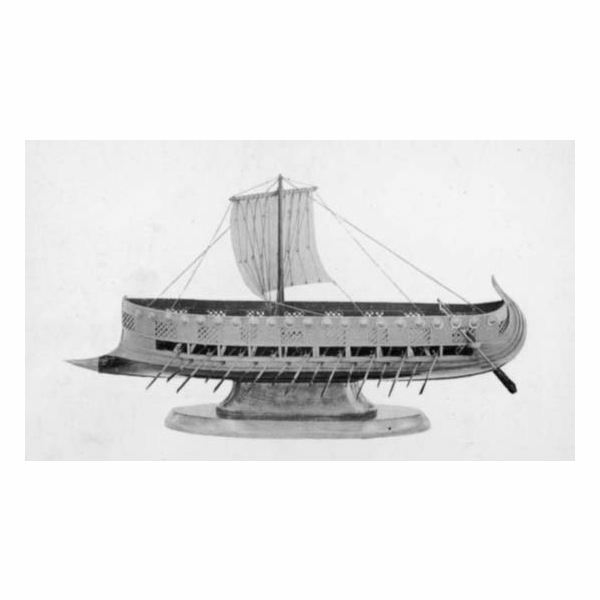 The British demonstrated during the first years of the war that they would go to extreme lengths to prevent the Germans from sending surface ships into the Atlantic. So it was judged that the Tirpitz, while she could not be risked in open battle, could still play a role in tying down significant concentrations of British forces merely by sitting in a Norwegian fjord and existing. This employment, though less than ideal, still served its intended purpose. Britain kept a number of major warships close to home in order to prevent the Tirpitz from suddenly dashing into the Atlantic, and they were forced to deploy heavy ships to defend many of the critical convoys shipping equipment to the Soviet Union through Arctic Waters. The battleship Tirpitz served there as a fleet in being – a naval threat that could not be ignored, and forced the Allies to allocate untoward quantities of resources to contain a threat that might never materialize. As the war turned against Germany, the Allies had resources to spare when it came to naval power. Italy's navy was largely crippled and Japan's was too far from the Atlantic to play a role. 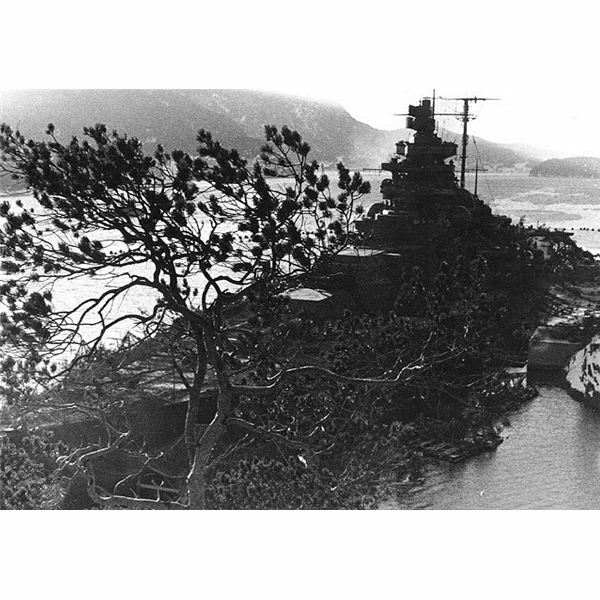 The British kept sufficient forces in home waters to keep the Tirpitz bottled up in Norway, and made periodic attempts to destroy her whenever the opportunity arose. Strategic bombing raids, aircraft carrier raids, midget submarine attacks – the Tirpitz was attacked at least nine times. Finally, in 1944, a raid of heavy bombers carrying incredibly powerful six ton "Tallboy" bombs scored at least two hits on the Tirpitz. 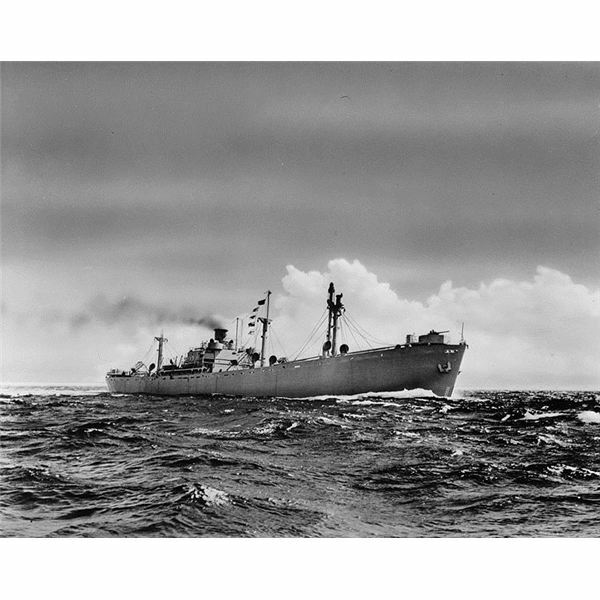 Even her thick armor was no match for ordnance of this size, and she capsized and sank west of Tromso with nearly a thousand German sailors. Between the Battleship Tirpitz and the Admiral Tirpitz, there's more than enough history to go around, much of it tinged with sadness and loss of life. After all, the name will forever be associated with the twentieth century's two most devastating conflicts. But through it all, a curious tale has come down from the early days of the First World War. 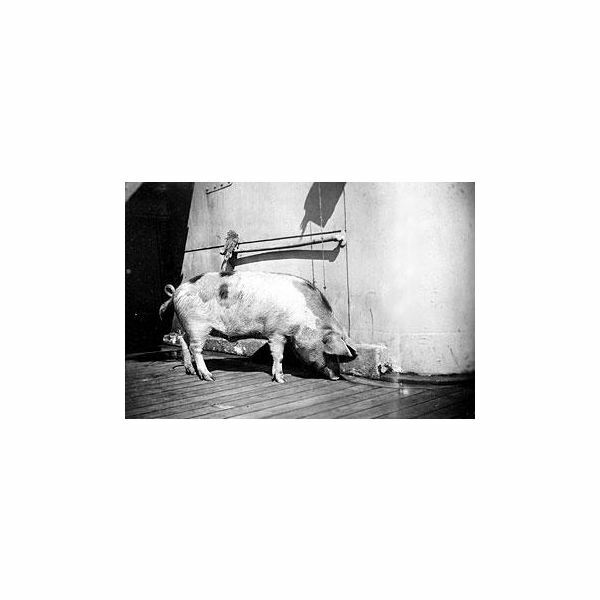 While Admiral Tirpitz was busy helping to run the German Navy in 1915, pigs were commonly kept on German warships as a source of fresh meat during long voyages. After the Battle of the Falkland Islands one of these cruisers was scuttled after spending months trying to outrun several British cruisers, but when this vessel (the Dresden) sank, one of the aforementioned pigs escaped the sinking wreck of the German cruiser and was rescued by the crew of the British cruiser Glasgow, who adopted it as their pet. The right name for the pig, it must be assumed, was clear from the start. 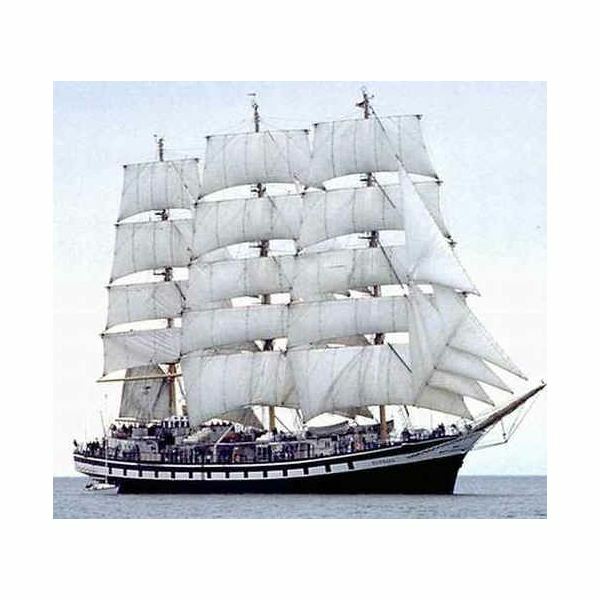 A swine named after the man whose political pressure helped build a fleet that the British felt threatened their survival, and in the process brought this pig to the far waters of the Southern Atlantic? What else could the pig have been named but Tirpitz? Tirpitz the Pig lived another four years, which for a pig (depending on the breed and his age at the time of his bold escape) is a good long life. His fate was to be auctioned off as meat, and the proceeds donated to charity. His auction raised nearly 2000 British Pounds, which in 1919 was quite a sum. Eight 15"(380mm) Naval guns in four twin turrets capable of hurling 1800 lb shells almost 20 nautical miles. 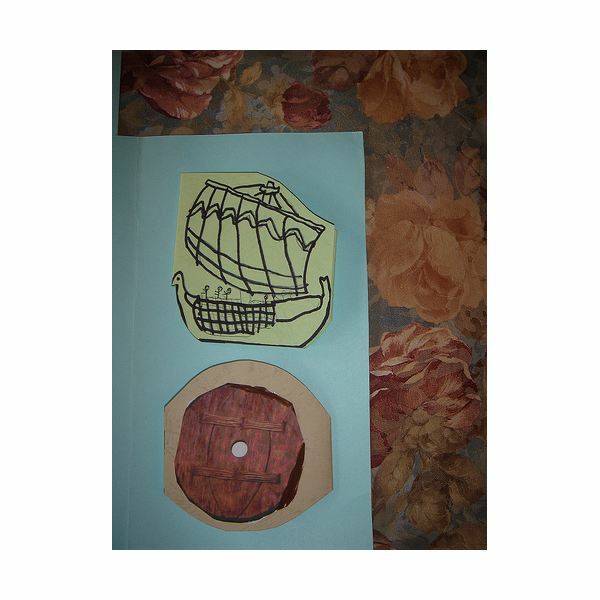 Armor ranging from 32cm at the armored belt to 12 cm on the deck and 36cm on the turrets. The destruction of the Tirpitz by 6 ton bombs should not be held against its armor – no ship could withstand that. It never saw combat with other surface vessels, but taking the Bismarck as an example it appears its armor protection was potent. Bismarck was hit by around 80 14" and 16" shells fired by battleships without sinking, plus another 200-300 or so shells of smaller sizes. 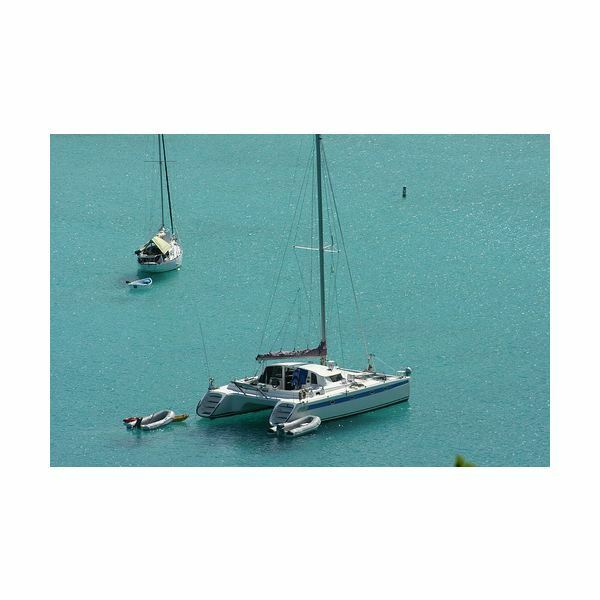 Even with that, it took her own crew scuttling her to send her to the bottom. Tirpitz was similarly protected.